Aircraft Aircraft type Order. Opt. Opp. Canc. Del. On Or. W/O WFU Sold Oth.D. LS↓ LS ↑ Act. On Wednesday June 6, 2018 the first four F-35Bs assigned to 617 squadron 'Dambusters' arrived at RAF Marham. They were flown from MCAS Beaufort, South Carolina were pilot training is embedded within the USMC VMFAT-501. Prior to the arrival at RAF Marham 15 F-35Bs were delivered to the combined RAF/RN force with three assigned to 17 squadron embedded with USAF 461st FLTS based at Edwards AFB, California and 12 assigned to 617 squadron. 207 squadron will be activated in 2019 as the F-35B Operational Conversion Unit (OCU) and also be based at RAF Marham. Tornado GR.4 taking part at Frisian Flag 2017. Leeuwarden AB March 23, 2017. 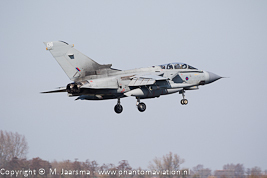 The last operational Tornadoes will be withdrawn from service in 2019. Only IX (B) squadron and 31 squadron remain operational on the fighter after 12 squadron was deactivated during the first half of 2018. All three squadrons will be reformed with IX (B) and 12 squadrons to convert to the Typhoon and 12 squadron to the RQ-9B Protector. 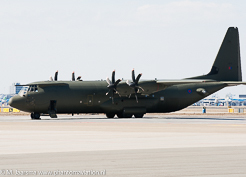 Hercules C.4 at Schiphol May 19, 2013. The Hercules C.4 fleet (C-130J.30) will receive a new centre-wing box. 14 aircraft - all C.4s - were to remain in service however one was lost in an accident. The Hercules C.5 (C-130J) are to be withdrawn from use and offered for sale. Four have been sold. One should be retained and also receive a new cente-wing box to keep the fleet at the planned 14 aircraft. Apache display at RIAT 2014. 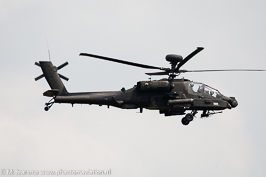 38 of the current 66 Apache AH1s will be upgraded to the AH-64E standard. Boeing was awarded the contract on May 11, 2017.